Count Senator Akpabio out of Akwa Ibom State House of Assembly crisis. Ordinarily, the Distigushed Senator wouldn’t have bothered to respond to the spurious allegation because it is contrived to malign his integrity and stands logic on its head. However, it follows a clear pattern of crying wolf by the Peoples Democratic Party (PDP) since the Senator, who was the live wire of the party in the State left the party to join the All Progressives Congress (APC.) The strategy by the PDP and its chieftains is that anything and everything must be pinned on Senator Akpabio. 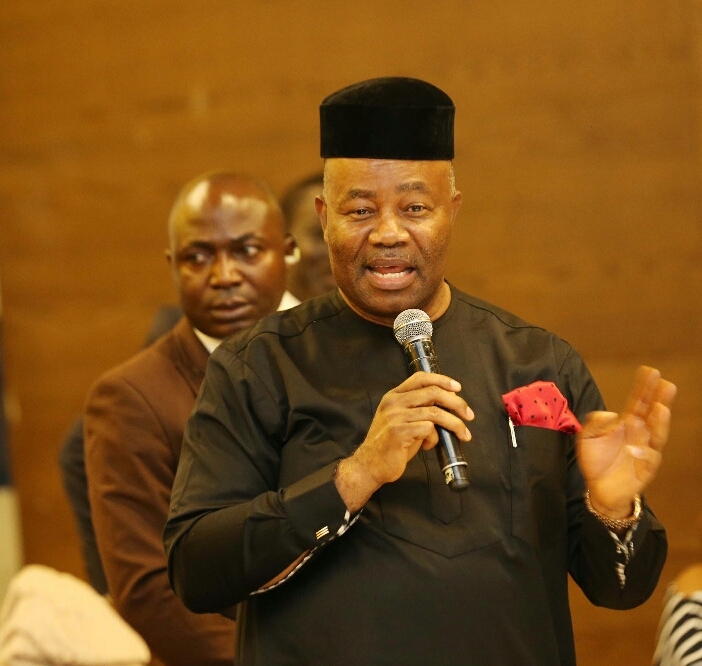 In his desperation to shop for who to blame and pass the buck, Governor Udom Emmanuel has blamed the security agencies in the State and Senator Akpabio has only become his latest victim. How can a state Governor accuse Senator Akpabio of being the brain behind the crisis, and at the same time declared that “the police should be held responsible for any breakdown of law and order in the state and not any other person.” Does it add up? It beats the imagination of right thinking individuals that a Governor could spew outright lies and falsehood in the face of the crisis in which he is a major sponsor. It is on record that the Governor personally led his security aides and thugs to the House of Assembly and supervised the manhandling of some members of the House of Assembly who were performing their constitutional duties. The brazen act of lawlessness by the Governor is responsible for the crisis. In justifying this meddlesomeness and interference in the functions of a separate arm of government, the Commissioner for Information of Akwa Ibom State, Mr Charles Udoh said he went to the House of Assembly as the Chief Security Officer of the State! 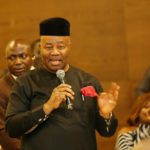 It is instructive that Senator Akpabio was never at the scene of the fracas neither has anyone any evidence of his involvement, except the oft repeated strategy of blaming anything that is wrong in the State on Senator Akpabio. 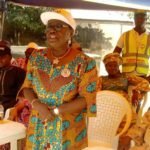 We advice Governor Emmanuel to brace up and face the challenges of his office, instead of looking for who to blame for his lacklustre performance in the last three and half years which have made Akwa Ibom people determined to democratically vote him and his party out in the election next year. Special Assistant on Media to Senator Godswill Akpabio.